Call back before 8 AM or after 5 PM. Most gatekeepers work traditional hours, so calling either before 8 or after 5 may allow somebody else to answer the phone. 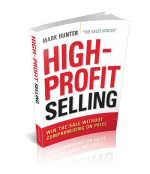 This approach is just way too easy, and yet I’m amazed at the number of salespeople who don’t do it. Gatekeepers don’t work 100-hour workweeks, regardless of what some salespeople might think. 1. Another person may answer. This person is not the official gatekeeper, but merely responds to a ringing telephone. These people will often put aside formalities and provide you, the caller, with the information or connection you need. 2. Phones might be programmed to go to an automated voice system, allowing you to gain access to a directory of people. In many cases, it will prompt to give you the person’s extension. On more than one occasion, I’ve used a company automated voice system to gain multiple phone numbers and contacts. 3. With the gatekeeper gone, the call may automatically roll over into the voicemail of the person you are trying to reach. 4. The person you’re trying to reach answers the phone and you’re able to have the conversation you’ve been wanting to have. Many people who do not answer their phone during “normal hours” will do so before 8 or after 5, thinking a call during non-work hours must be important. This last one is a key reason why I like calling before 8 am because it gives the person you’re calling a strong positive impression about your style and you are a person willing to make things happen. A quick guideline I advocate is if you’ve been blocked by the gatekeeper two times, your third call must be either before 8 am or after 5 pm. PrevPreviousVIDEO SALES TIP: How Quickly Do You Follow Up with Prospects?